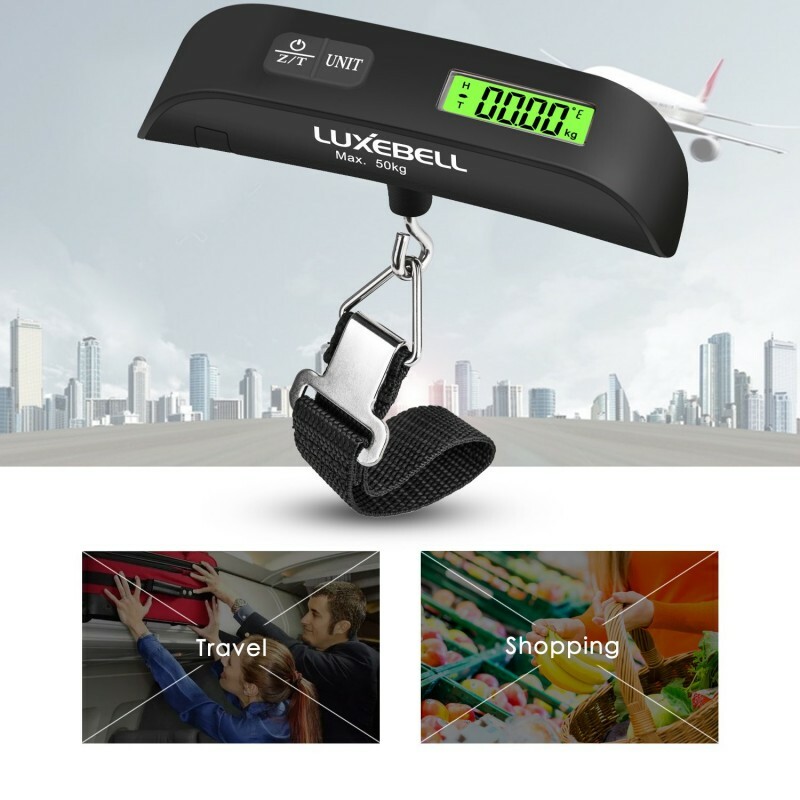 This Electronic Luggage Scale is small and handy with room temperature display when press on the unit button. 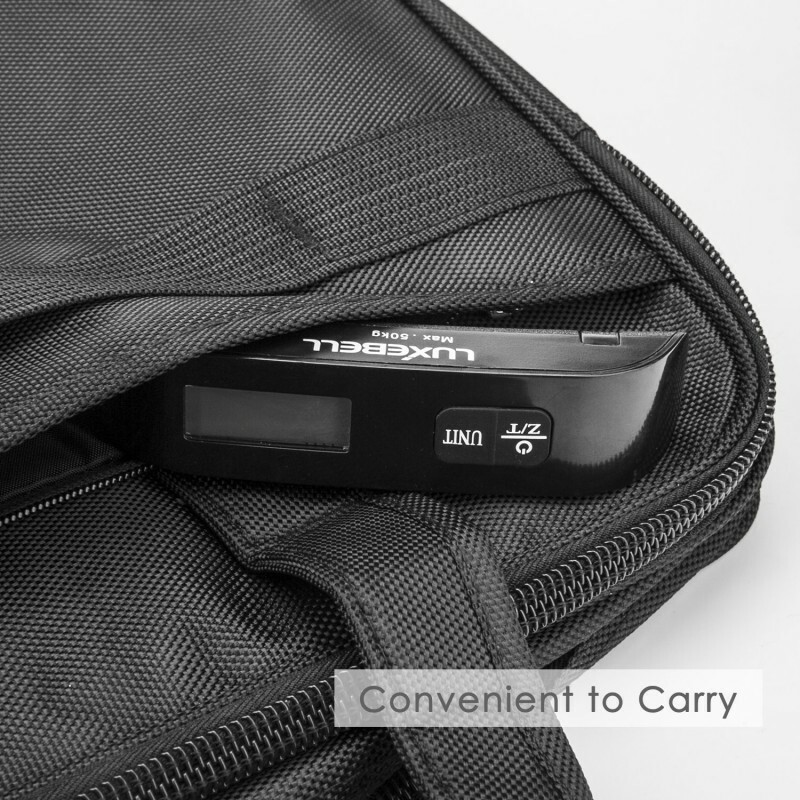 It is easy to store, carry and convenient for traveler. 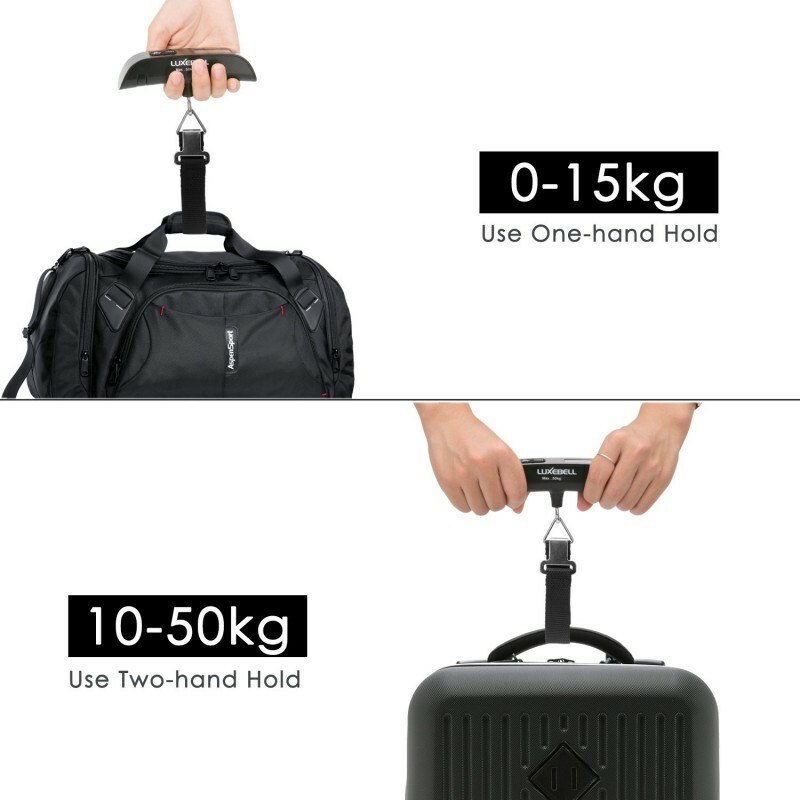 With the rubber paint handle it gives a comfortable grip when using the scale to weigh your luggage or package anytime and anywhere during travelling or when required. 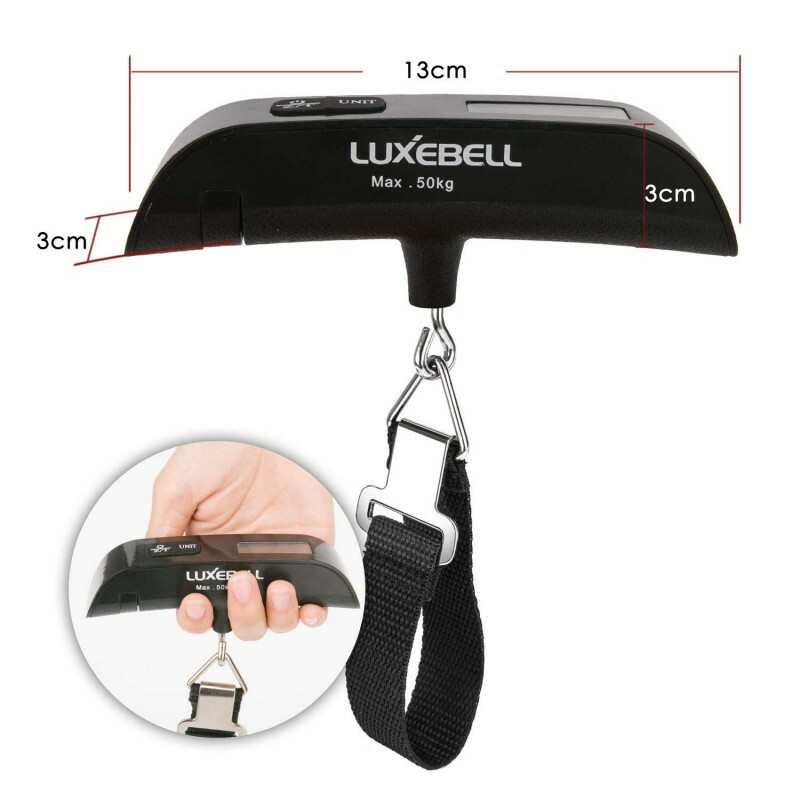 This luggage scale is also a good choice as gifts for your family and friends. 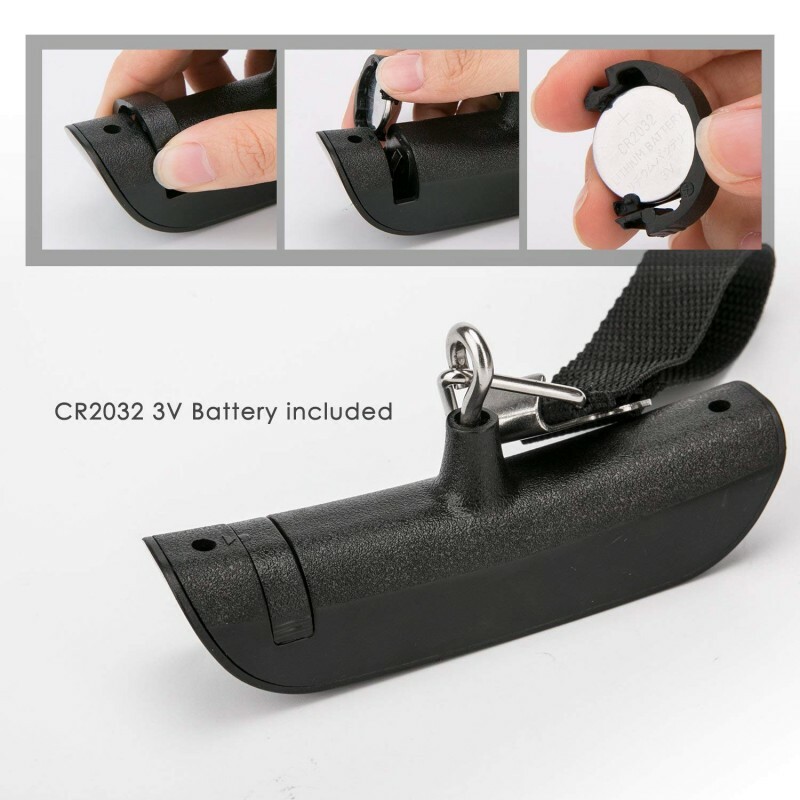 With portable design and easy to use, it is especially popular for frequent travelers and businessmen. - Material: durable engineering plastic. 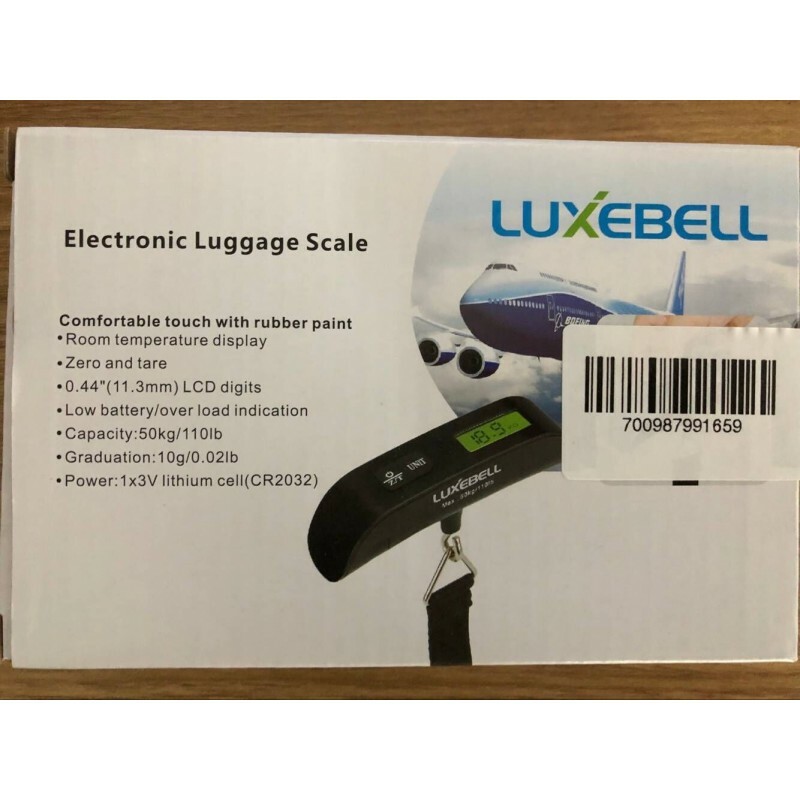 - 100% brand new and high quality LCD digital electronic luggage scale. - T-shaped design makes it easy for one or two handed lifting. 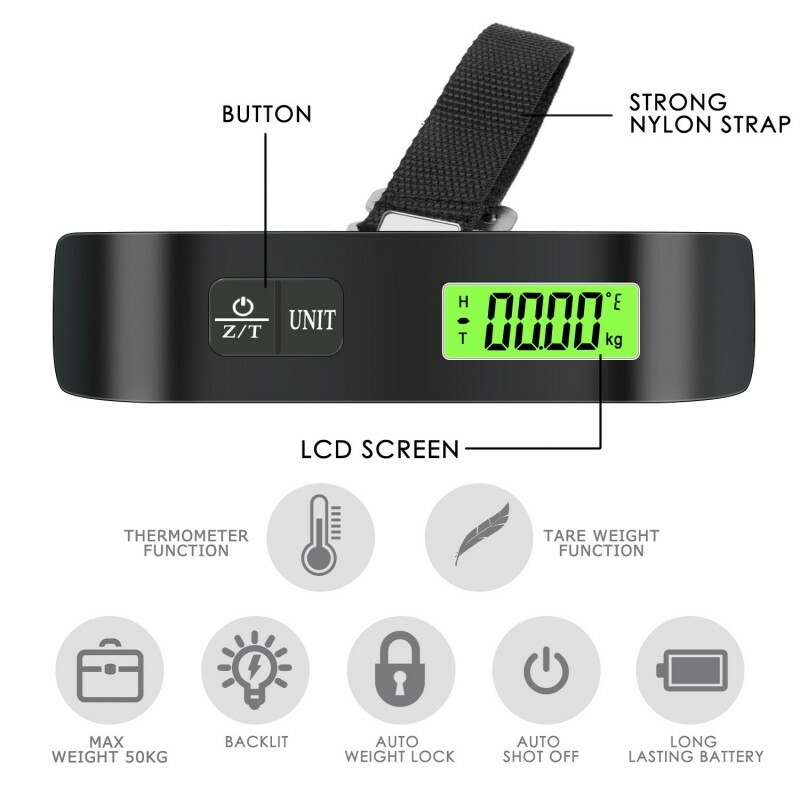 - Easy to read with 0.44-inch (11.3mm) LCD digits display. - Low battery and overload indication. - Helps avoid charges for overweight luggage. - Durable clasp and rugged nylon web material for strap. - Power: 1 * 3V CR2032 lithium cell (included). 1. Wipe the scale with a slightly damp cloth. DO NOT immerse the scale in water or use chemical/abrasive cleaning agents. 2. Do NOT stress the triangle ring for long time. 3. Keep the scale away from babies and children.